New figures obtained from Transport for London reveal that passenger numbers for the RV1 bus route increased during the Summer and Autumn this year, undermining TfL’s justification for scrapping the bus route. The figures have been obtained by Caroline Pidgeon, the Liberal Democrat London Assembly Member and the chair of the London Assembly Transport Committee. In the November issue of the Centre for London's "London Intelligence" report, Caroline comments on data that show tube usage stagnating and bus usage declining. 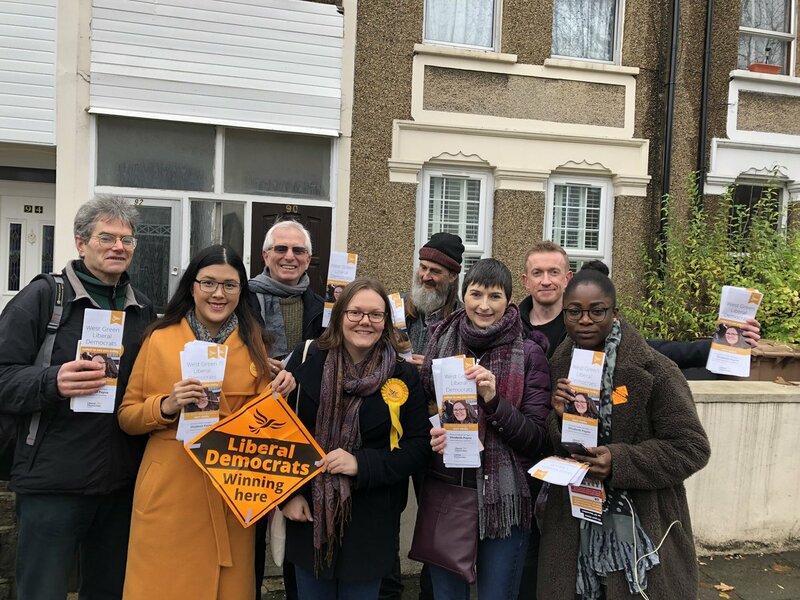 Caroline joined candidate Elizabeth Payne, and a great team of Haringey Lib Dem activists, to campaign for the West Green ward by-election on 13th December. Launching a new report by the London Assembly Transport Committee, Caroline Pidgeon stressed the importance of suburban rail to London's transport network, and the investment and strategic thinking that is needed to make it work smoothly. “The rail network is an essential part of the rhythm and movement in this city. “For Londoners and visitors to get around our city our rail network has to be world-class. Currently, it is not.